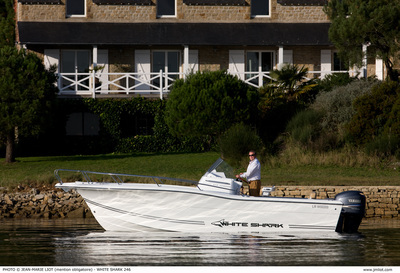 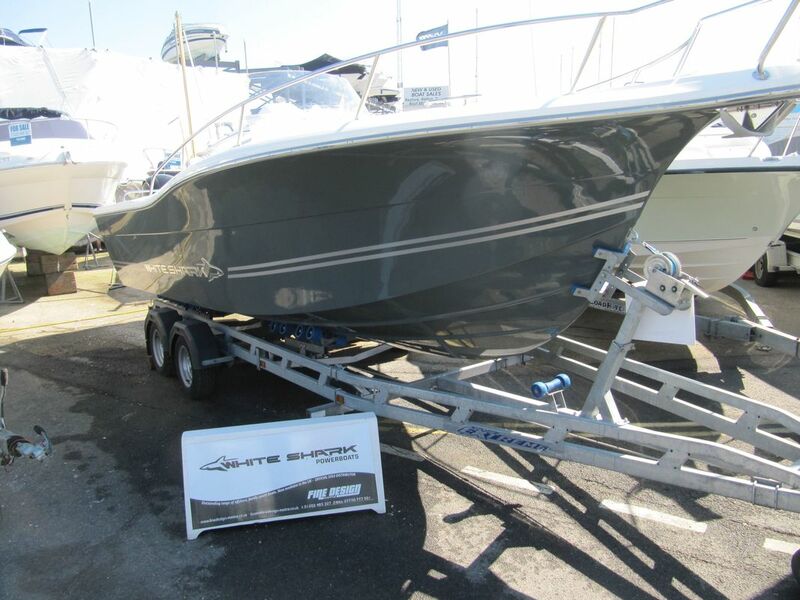 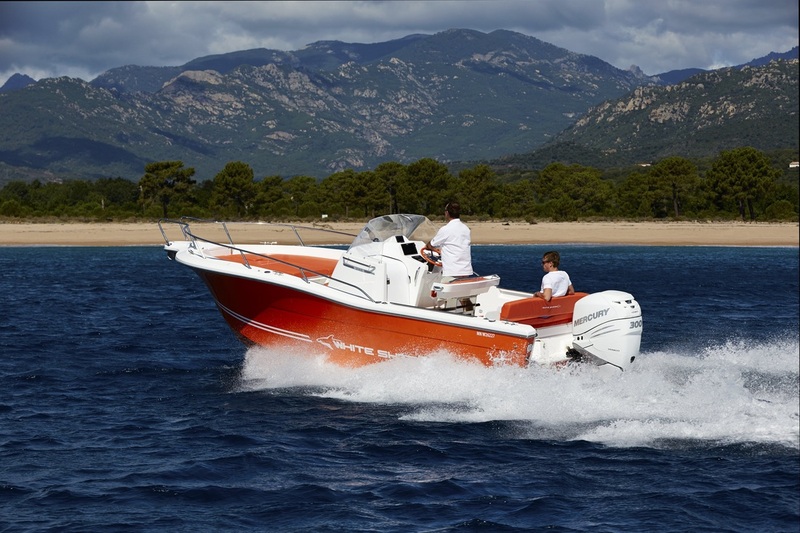 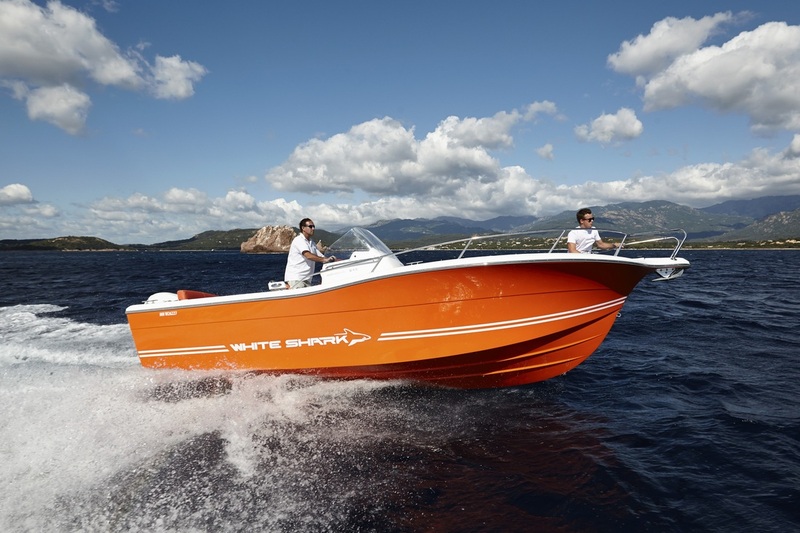 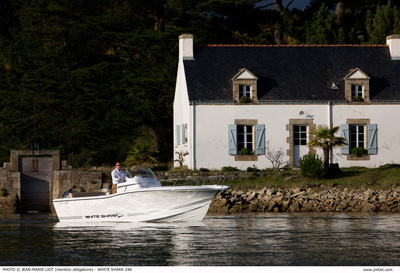 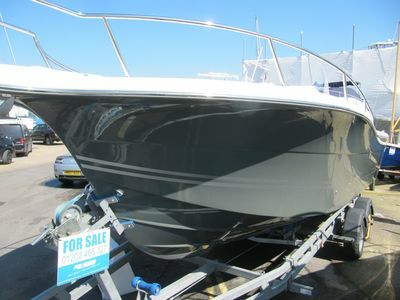 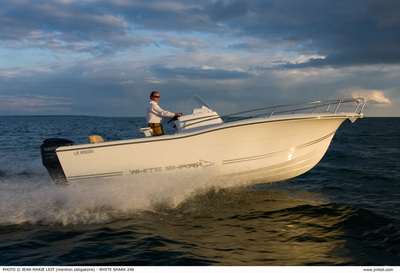 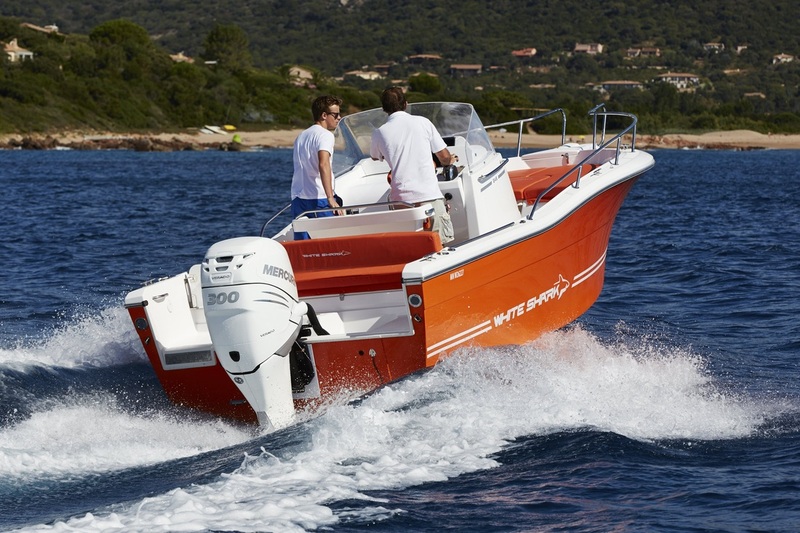 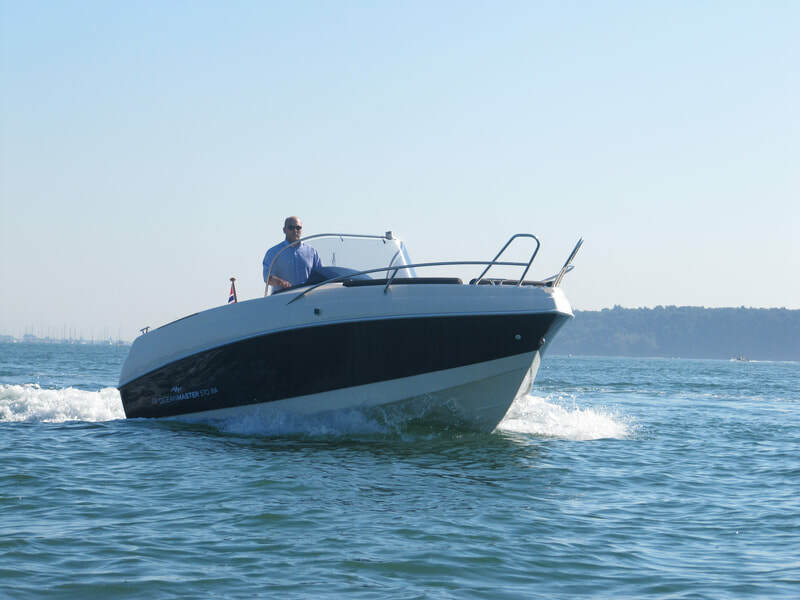 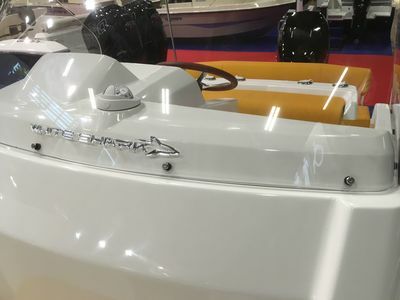 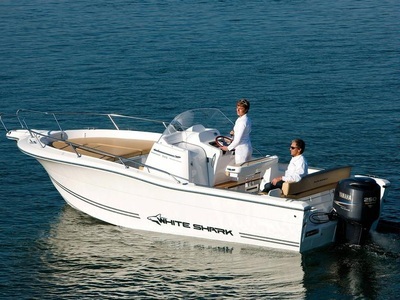 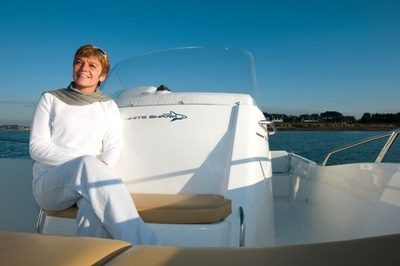 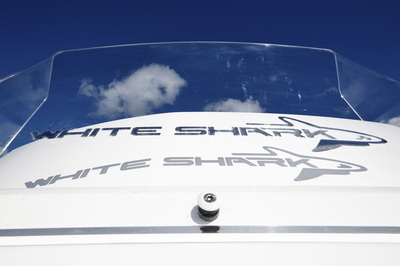 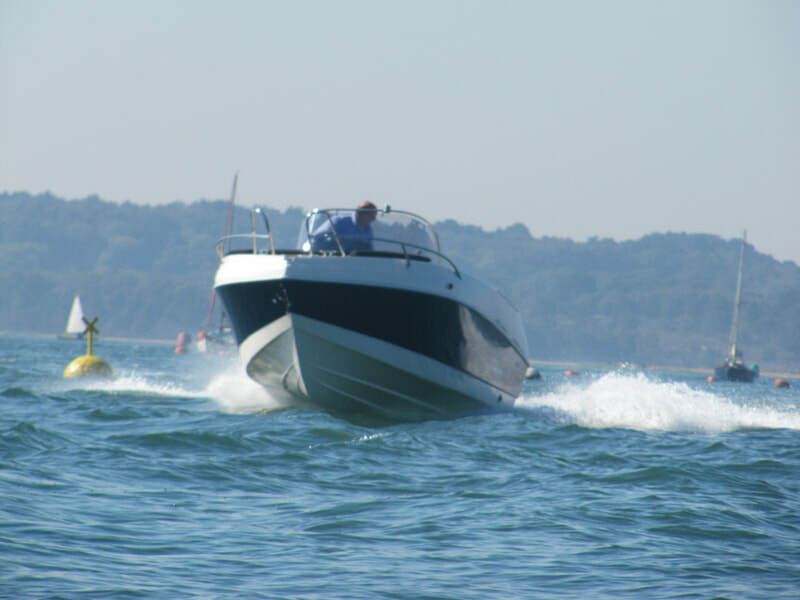 ﻿﻿The White Shark 246 CC offers considerable offshore sea keeping capabilities. 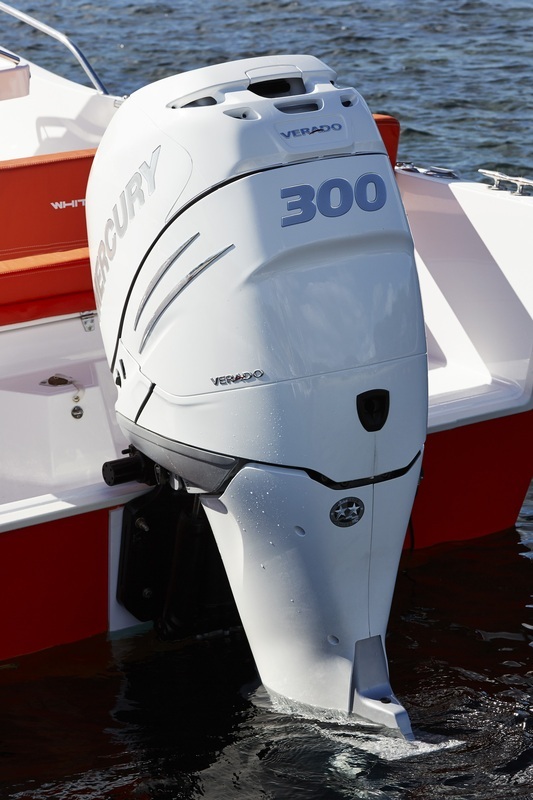 With power options up to 400HP on a twin engine installation she's also capable of serious performance even in the harshest of conditions. 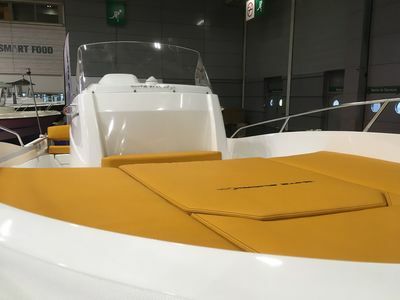 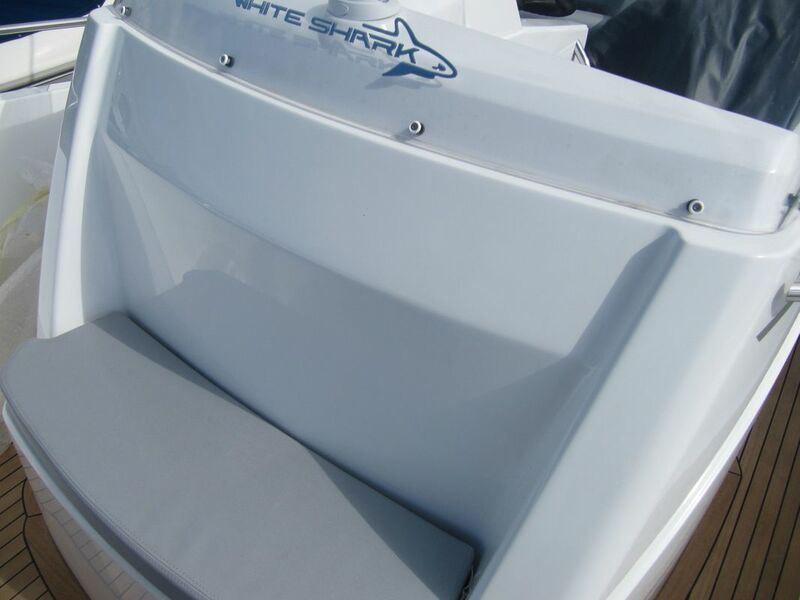 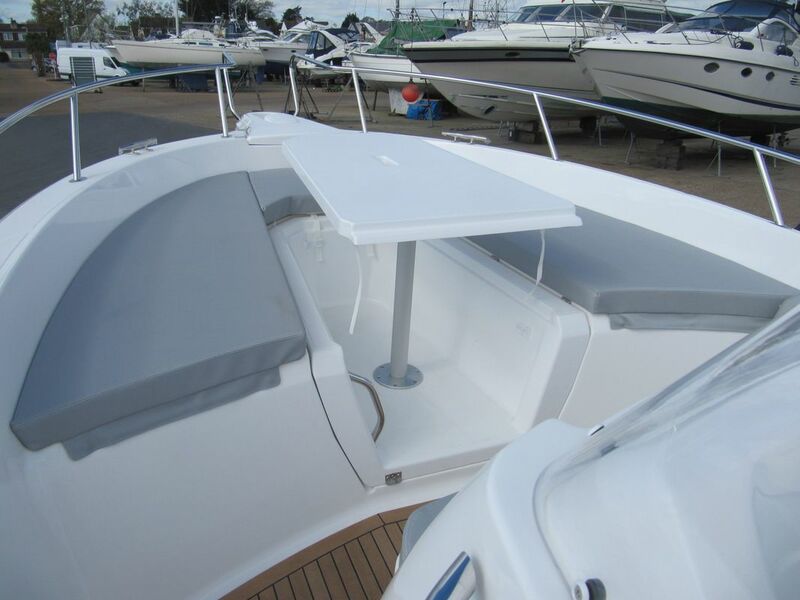 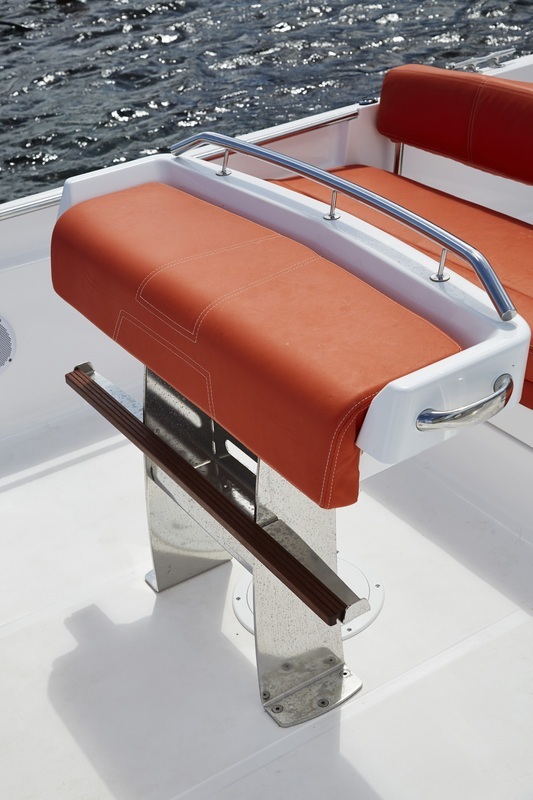 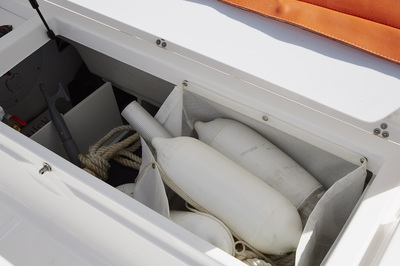 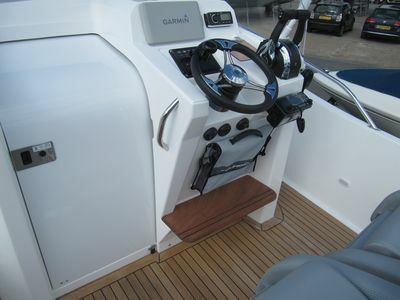 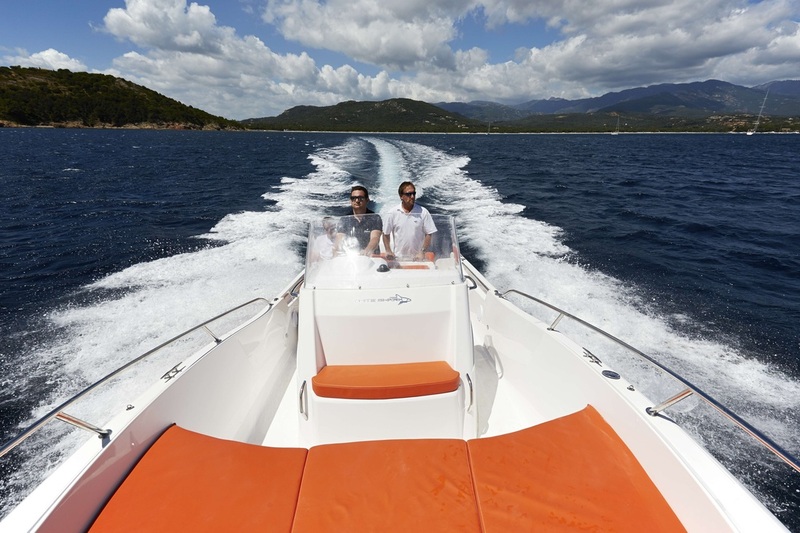 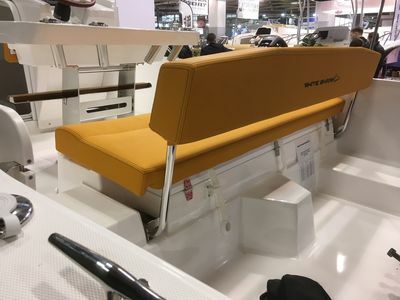 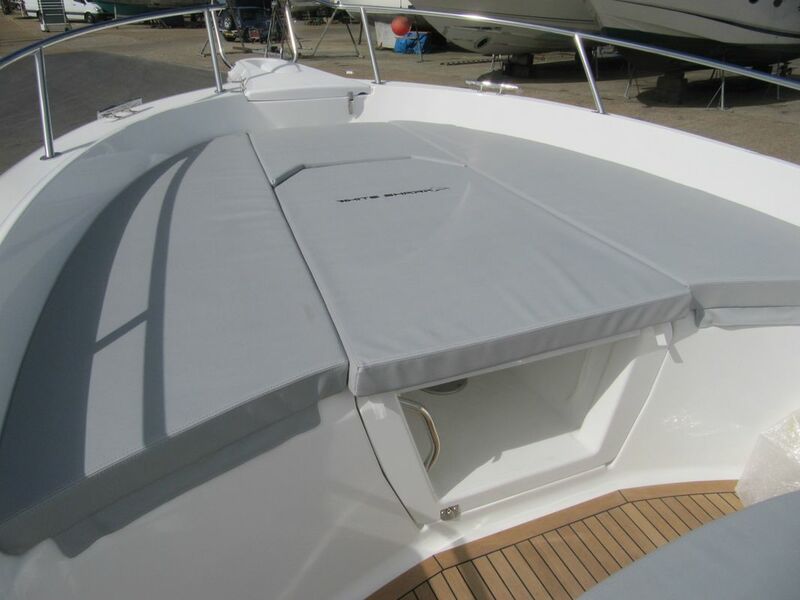 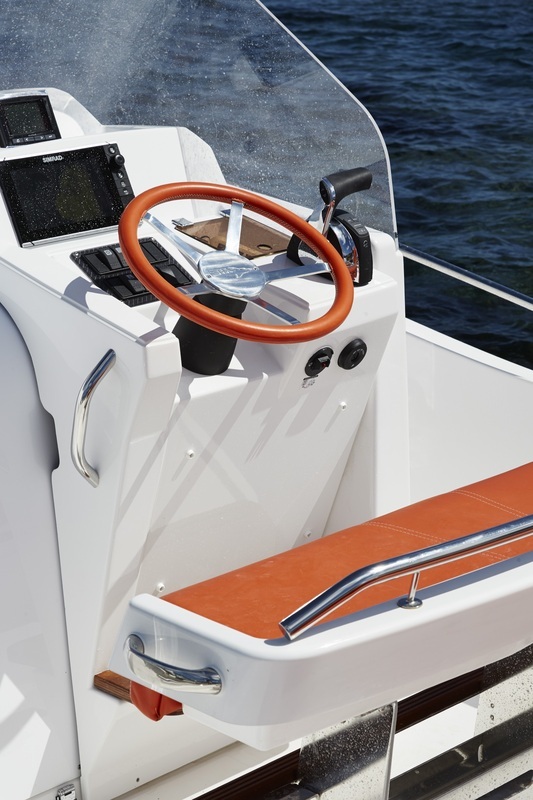 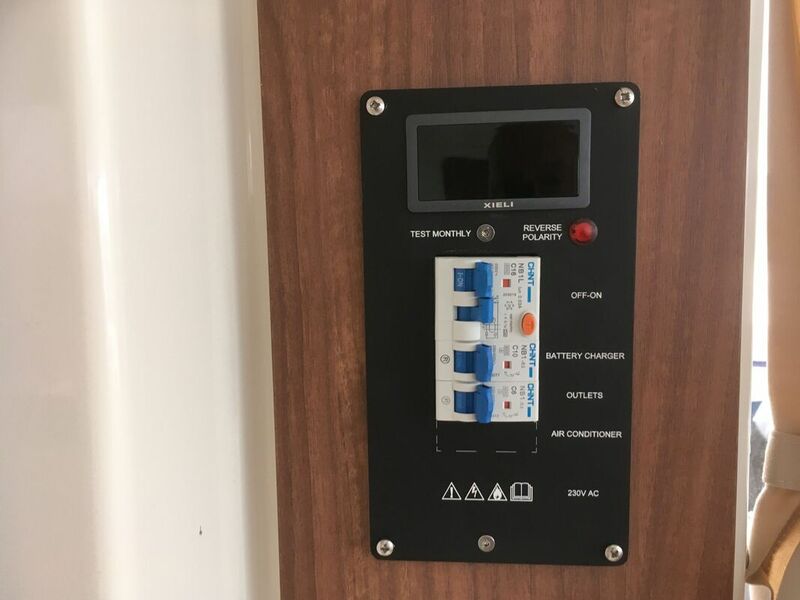 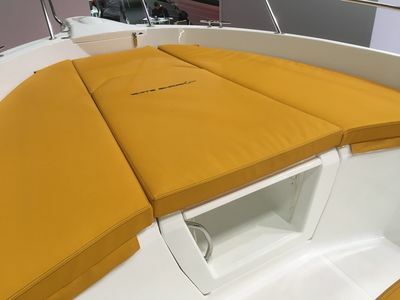 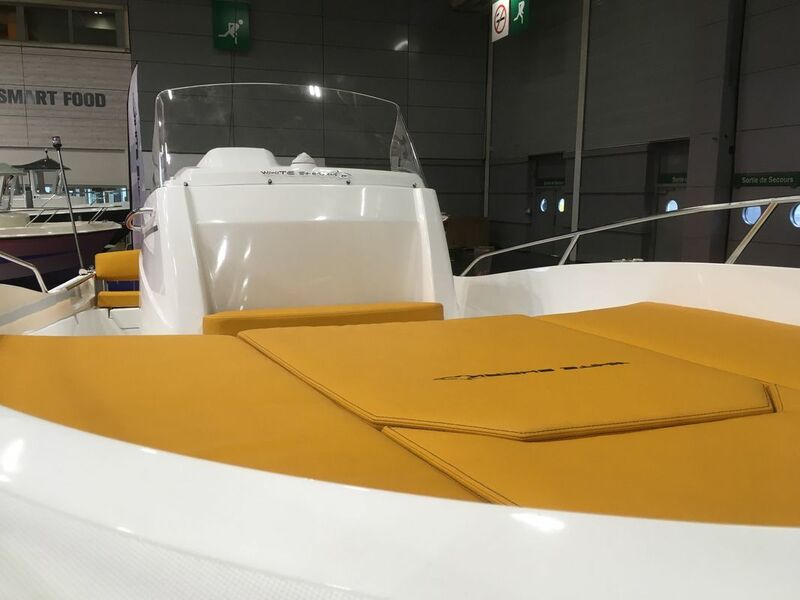 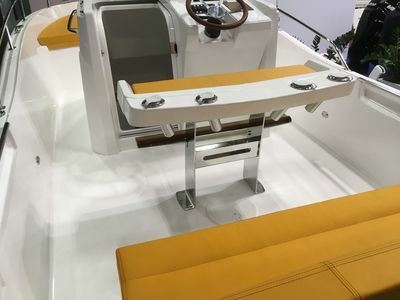 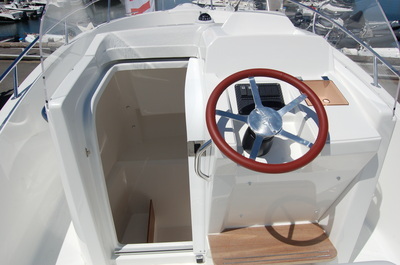 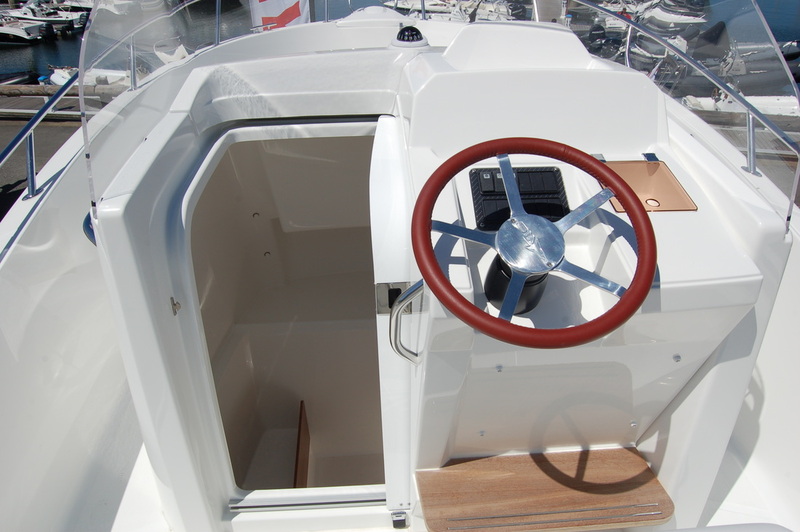 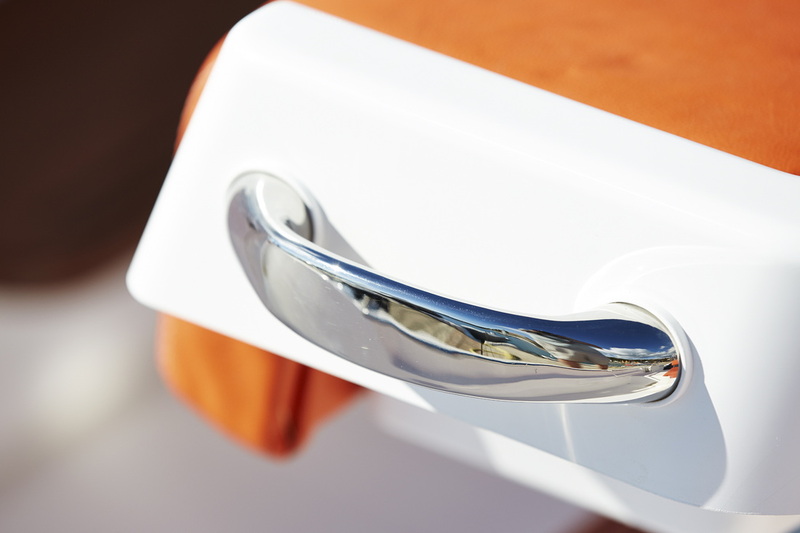 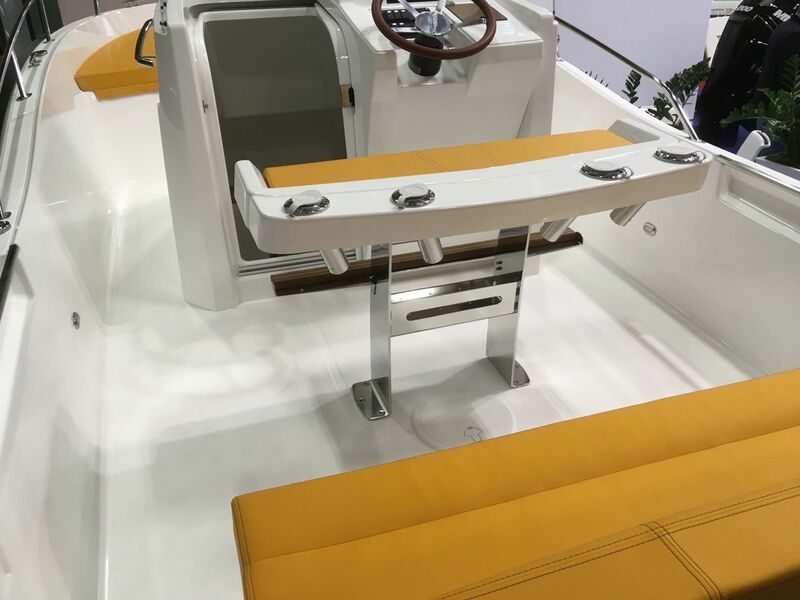 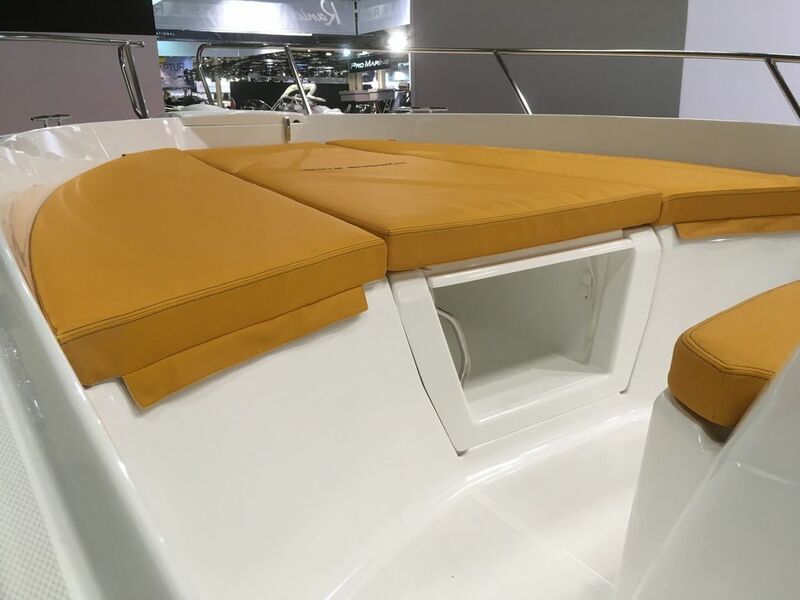 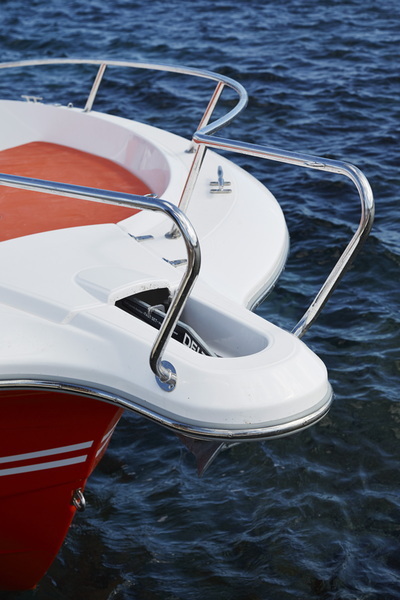 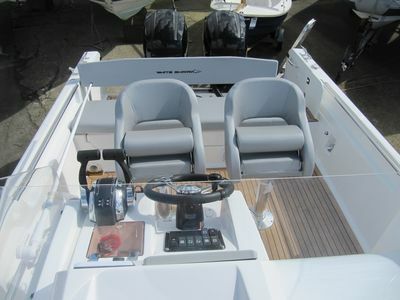 The high console and plexiglass screen ensures good protection at the helm, robust build quality with deep Vee and large flared bow ensures those onboard a safe dry ride. 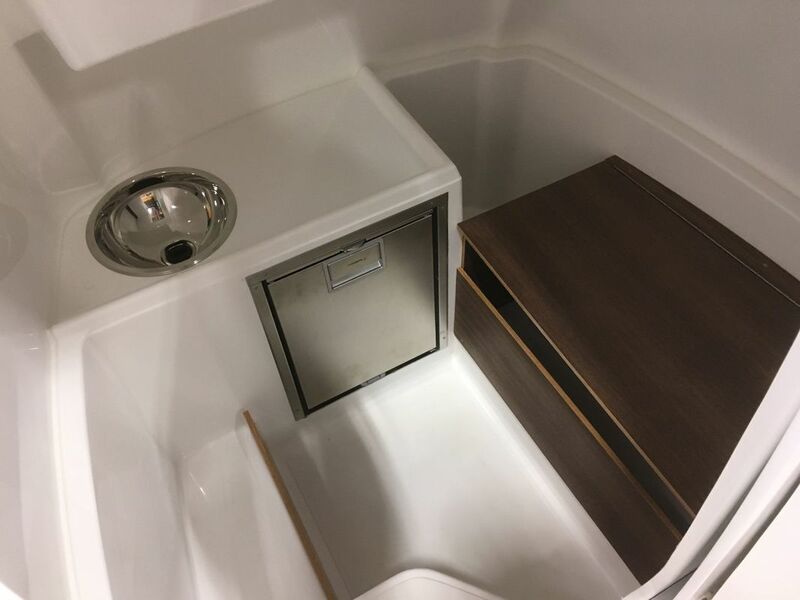 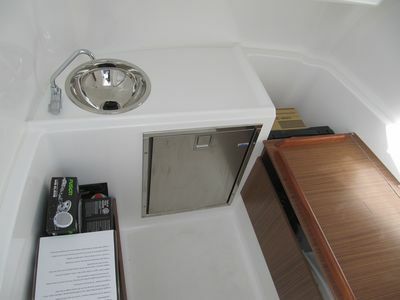 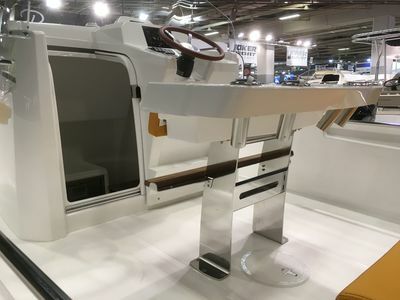 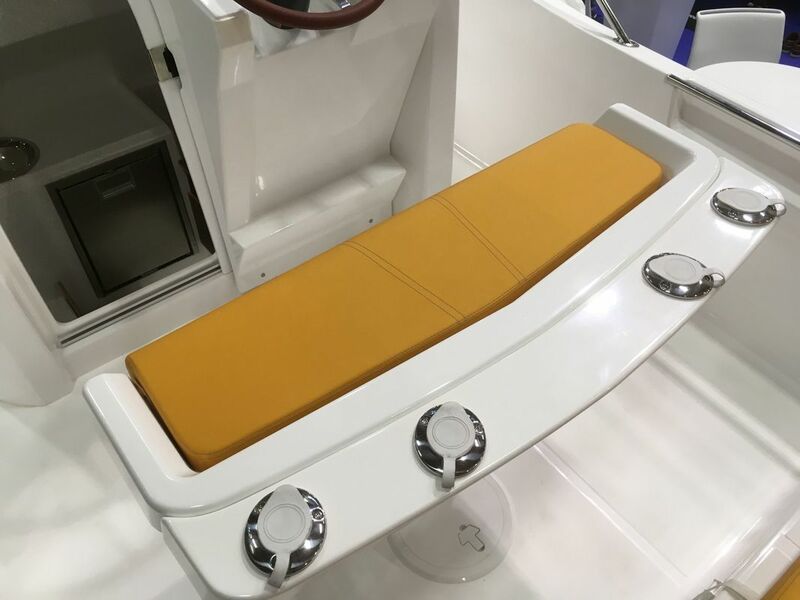 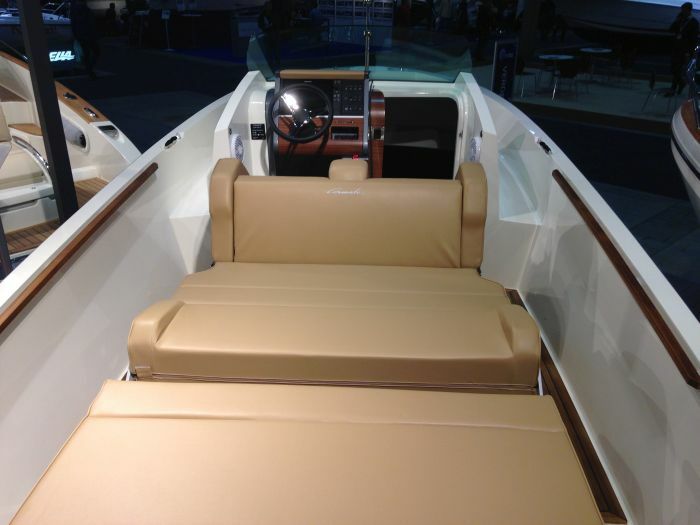 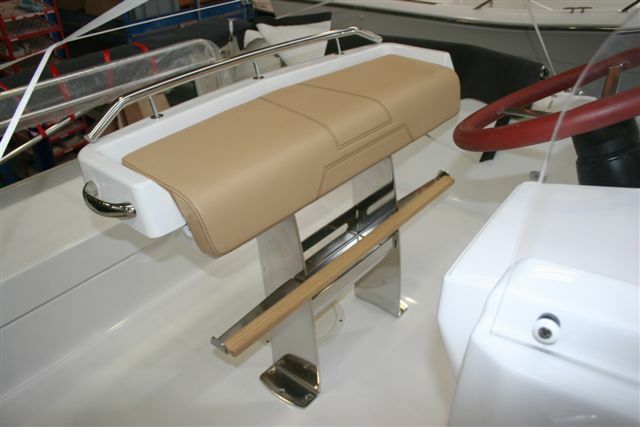 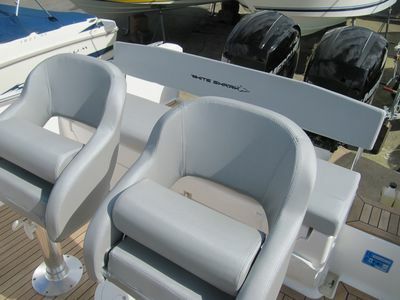 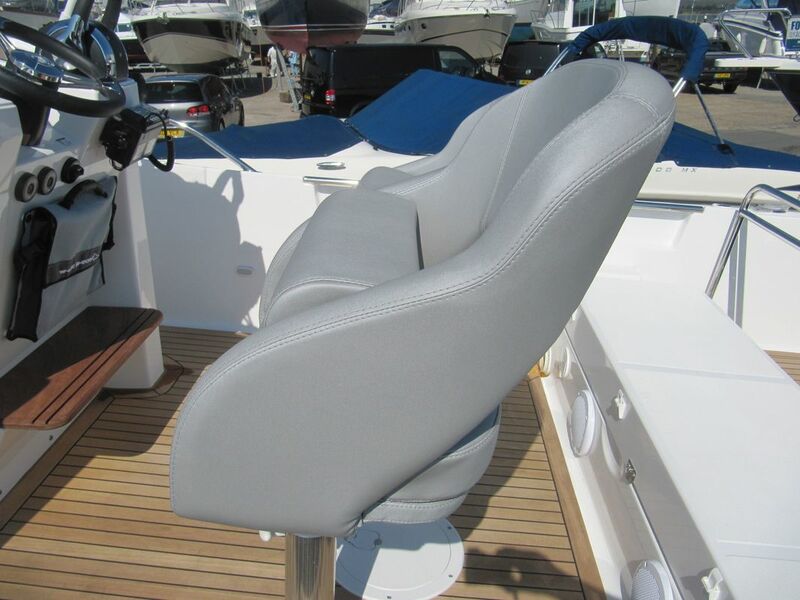 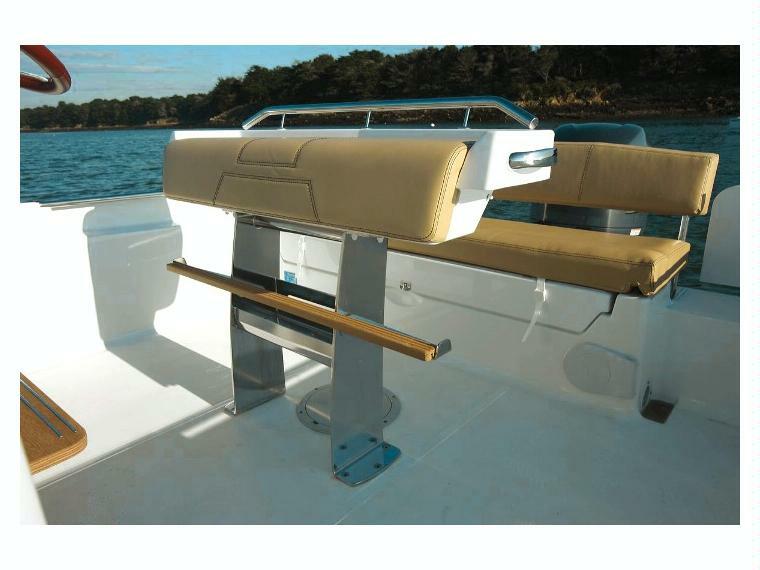 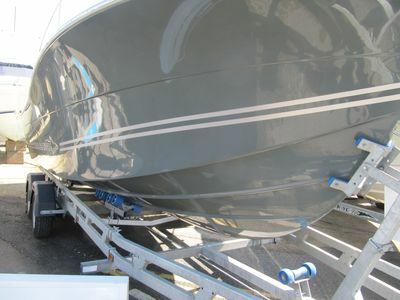 Spacious center console cabin with seating, marine toilet or chemical WC, forward seating that converts to sundeck, including picnic table, aft deck with room to really spread out. 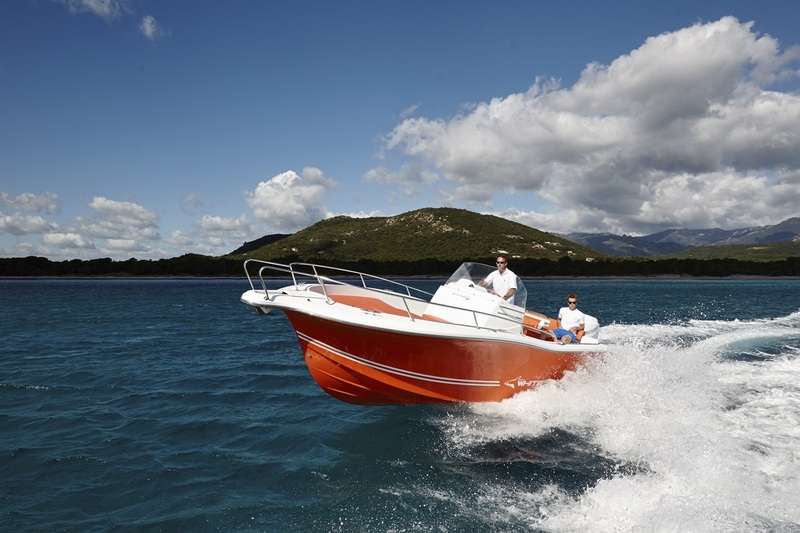 The 246CC is a formidable go anywhere family day boat that's just at home on offshore fishing adventures and towing waterskiiers or at anchor for a lazy afternoon. 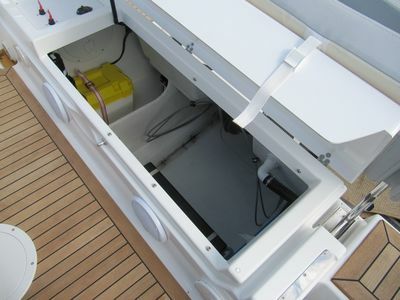 Builder displacement without engine : 1,600 kg approx.